Every farmer has something that makes them special. 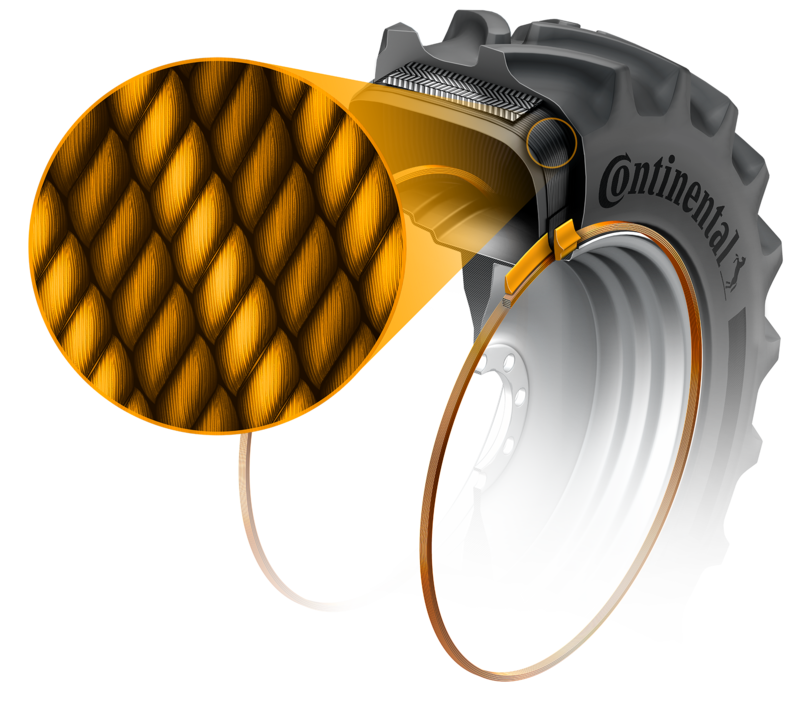 With their patent-pending N.flex technology, Continental tires are unique, too. At our high-tech plant in Lousado, we’ve developed a new type of nylon carcass that makes our tires more robust and round. They stand up to one hell of a beating, taking more punishment than ever before. Faced with rocky lanes and fields, they roll with the punches – they absorb any impact, spreading it over a large area. But just like a farmer, nothing and no-one will bend them: once they’ve taken a knock, they’re quickly back to their usual round shape for a smooth, comfortable ride. After a hard day’s work in the heat, they’re ready for long drives and hard work the next morning: Continental tires retain their uniform shape for a comfortable ride with virtually no flat spots. Smooth roads, rocky lanes, muddy fields – with their new N.flex nylon technology, our tires are robust enough to meet any challenge. The carcass‘ patent-pending material is flexible enough to absorb impact and then returning to its original shape without permanent deformation. Thus ensures long-term robustness and rounder tires for a comfortable ride. Vastly reduced flat spots means an end to bumpy drives in the morning. Right from the word go, tractor tires are put through a test of strength and durability. Huge forces are applied to the bead when it is stretched over the rim, and afterwards it needs to snap right back into its original shape. All the precision engineering and next-generation technology in the world go unharvested unless this, the moment of truth, is a success. This is when a tire becomes a piece of heavy-duty farming equipment that will assist the farmer for years to come. It’s the beginning of a partnership between our passion for engineering and the farmer’s drive to harness the power of nature. Our new technology ensures that nothing is left to chance during this important moment. The bead is now made of a single piece of steel wire, and the hard-rubber rim strip covers the whole bead, for easier mounting and enhanced durability. 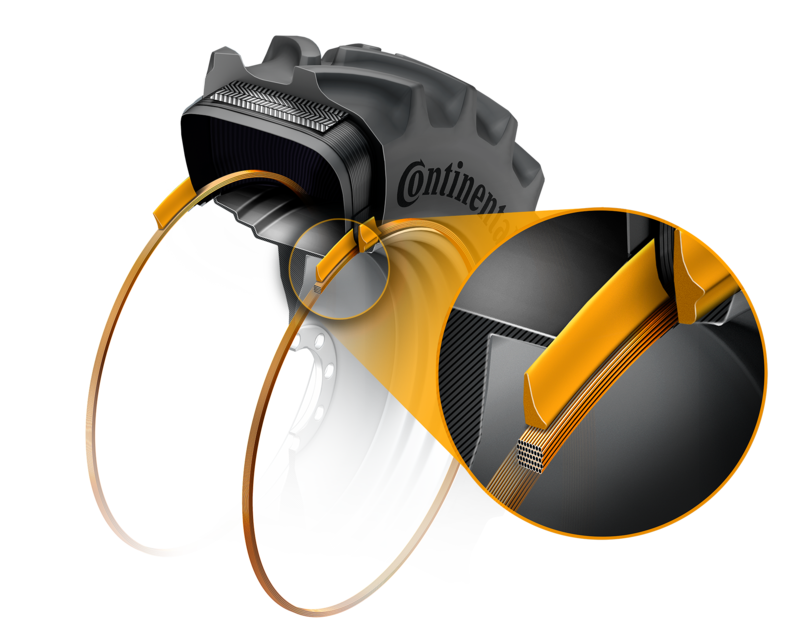 With its unmatched robustness and its ability to keep its original shape, every Continental tire rolls as smoothly along the road as it did off the production line. The bead is essential to a tire, because it’s what keeps it on the rim. Made of a single piece of wire, our beads are sturdy, compact, and keep their shape.